Download Resume CV Website Theme Template Free PSD. 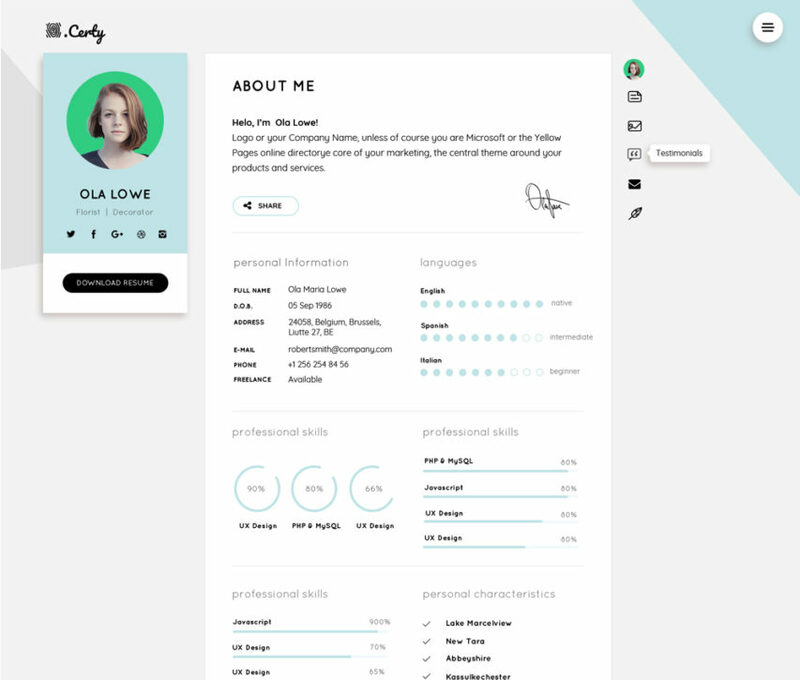 This is a free resume style website template with a clean and minimalistic design. This Resume CV Website Theme Template Free PSD is made for designer, developer and can be used by any working professional. This Resume style website template has a Clean and beautiful eye-catching material design that will impress your future employer. Feel free to use this Resume Website Template Free PSD for designing your personal portfolio website. Hope you like it. Enjoy!